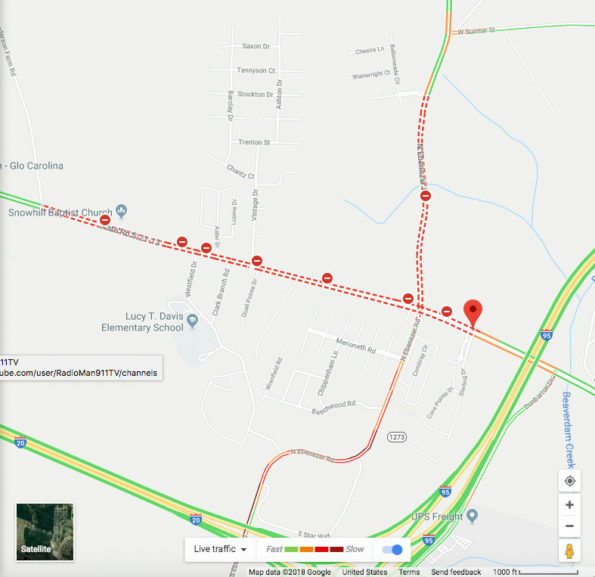 Police in Florence responded Wednesday afternoon to an Active Shooter call in the Vintage Place subdivision off Hoffmeyer Road in Florence, South Carolina. Vintage Place is located northwest of Florence, and about one mile north-northwest of the I-20 and I-95 interchange. UPDATE: 3 Florence County Sheriff’s Deputies shot, 4 Florence city police officer shot with one killed. Three deputies and two city officers have reportedly been shot, according to the Florence County Sheriff’s Office. Summer Dashe, an evening anchor at WPDE ABC15, Myrtle Beach reported that a Florence Police Department officer was killed. At 5:00 p.m. EDT Wednesday the active shooter incident was still in progress. At 6:02 p.m. announced the active shooting situation was over and that the suspect was in custody. Police asked everyone to stay away from Vintage Place as there was still an active crime investigation in progress.